The resilient Styraco-Camel thrived in the harshest of environments. With no natural predators they roamed the ancient deserts with impunity. 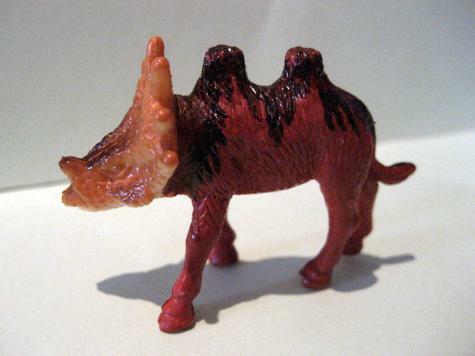 Another unique species created by fusing plastic toy animal parts together with Plastimake.